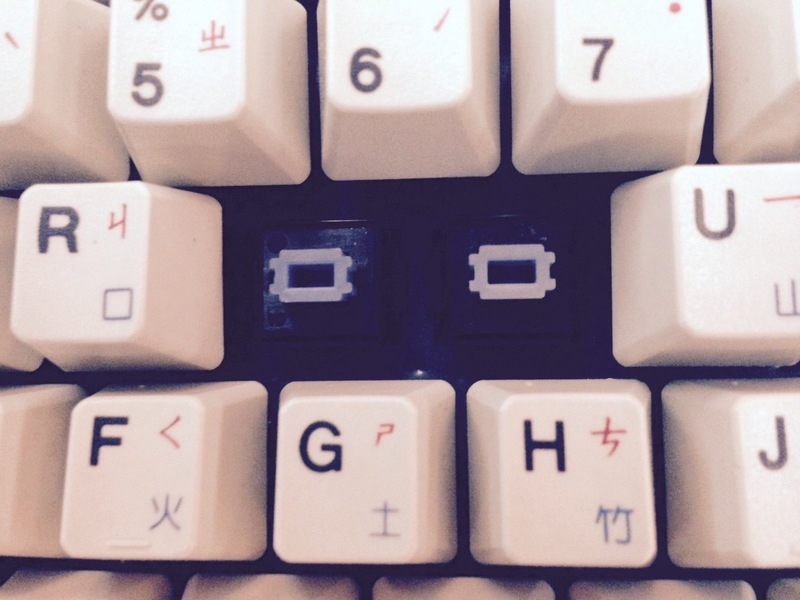 A brief summary of Tai-Hao mechanical keyboards. The photographs shown were all provided by Tai-Hao. 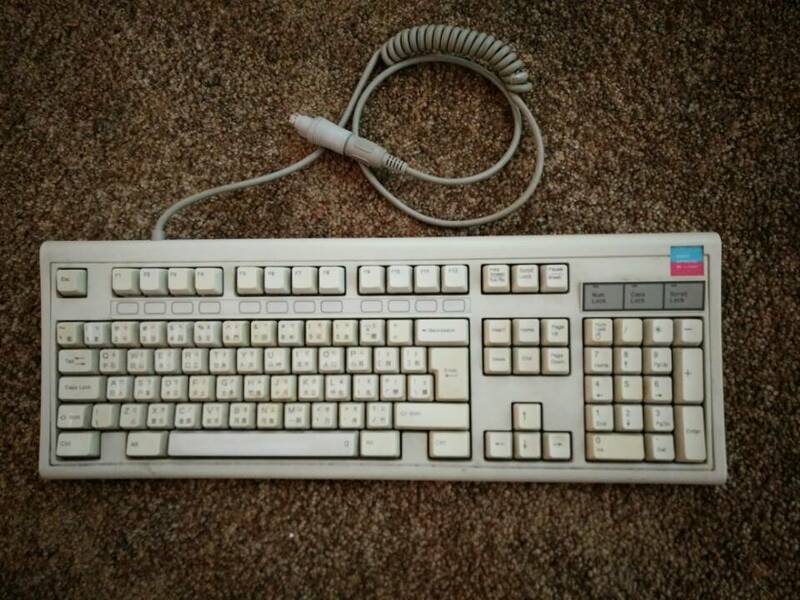 Model TH-5539 (FCC ID GOG3YLTH-5539) covers Tai-Hao’s older keyboards, presumably being replaced by F21, which covers their modern keyboards. 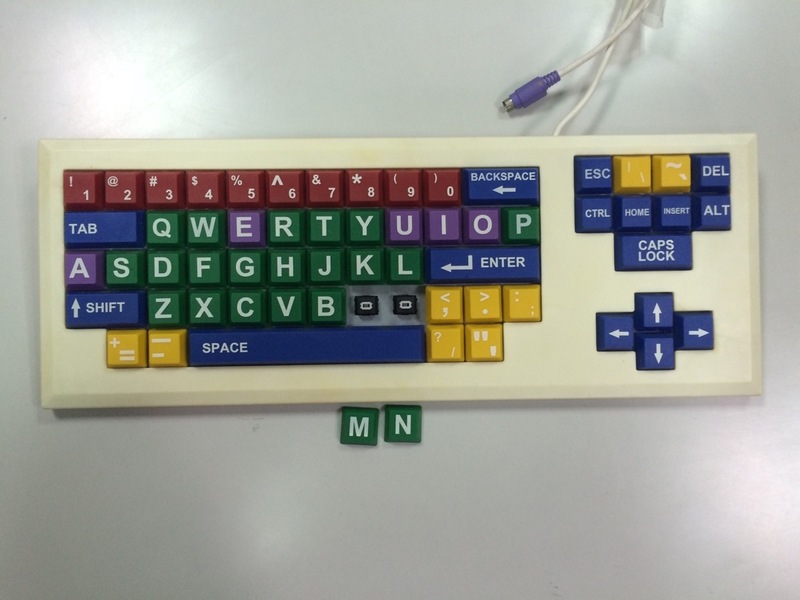 The following table shows various 5539 models; the details are unfortunately not 100% certain, considering how long ago these keyboards were made. 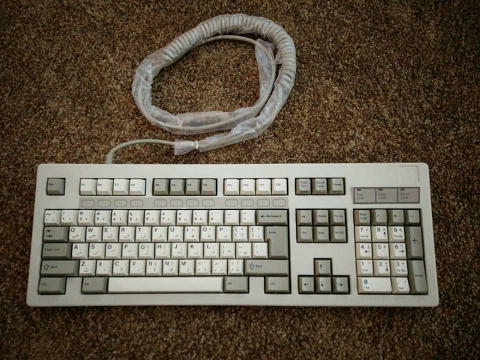 Known switches are listed; these keyboards may have been manufactured with more than one switch type; the Bigfoot-style model has a PCB that accepts both Alps and Cherry MX switches. 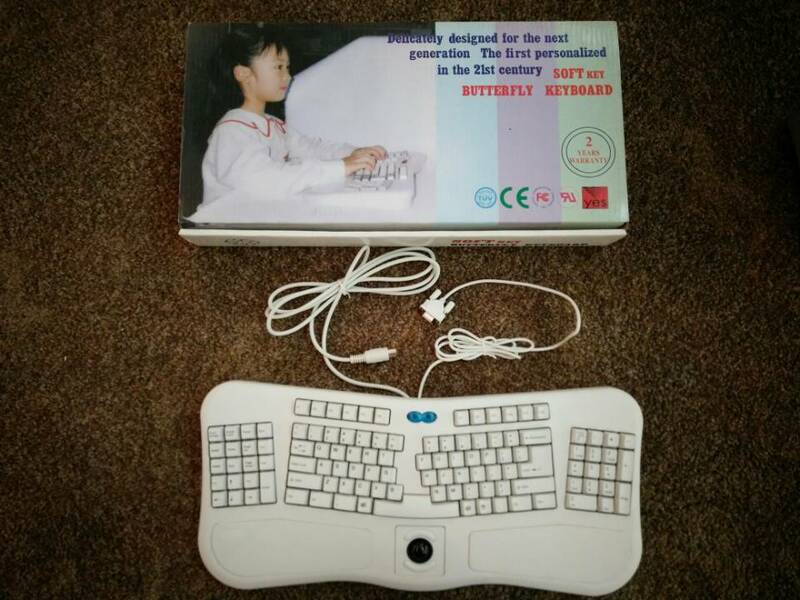 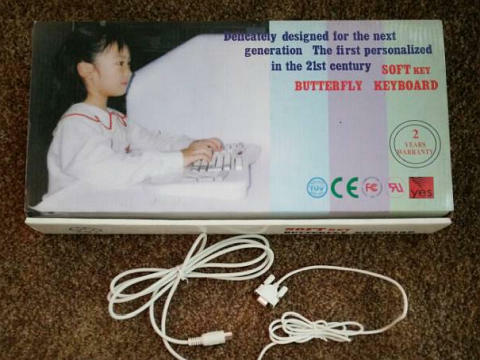 The Butterfly Keyboard is an ergonomic trackball keyboard targeted towards children. 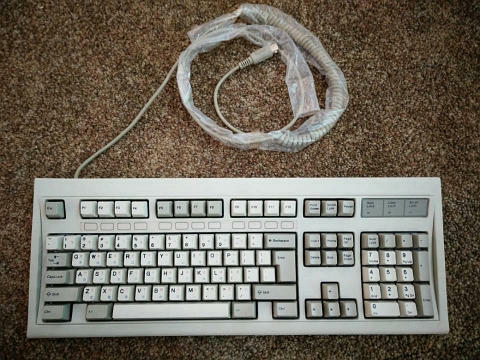 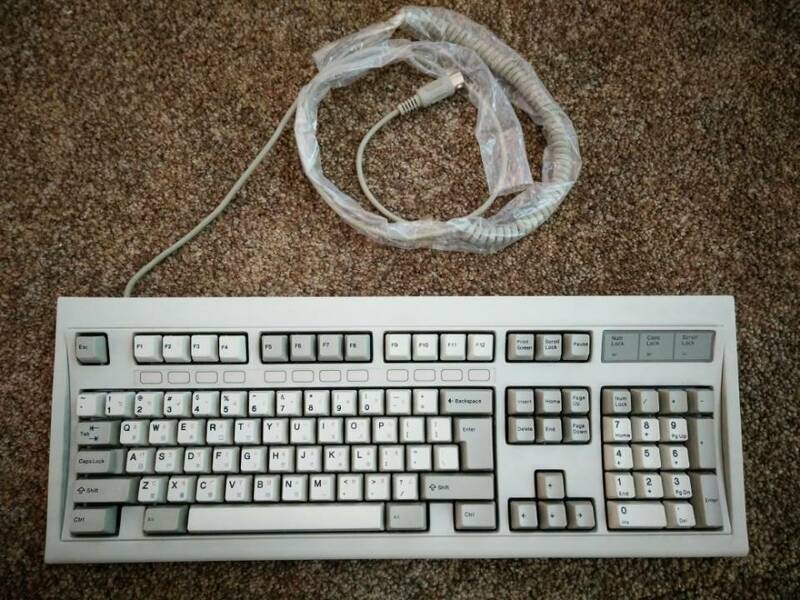 According to the box, it’s a 21st century keyboard, which is curious because it uses an AT keyboard connector and DE-9 serial for the trackball. 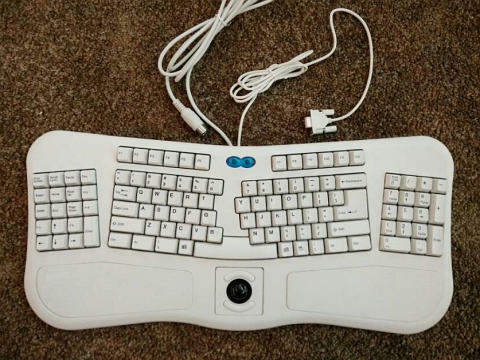 The case features an integrated wrist wrest. 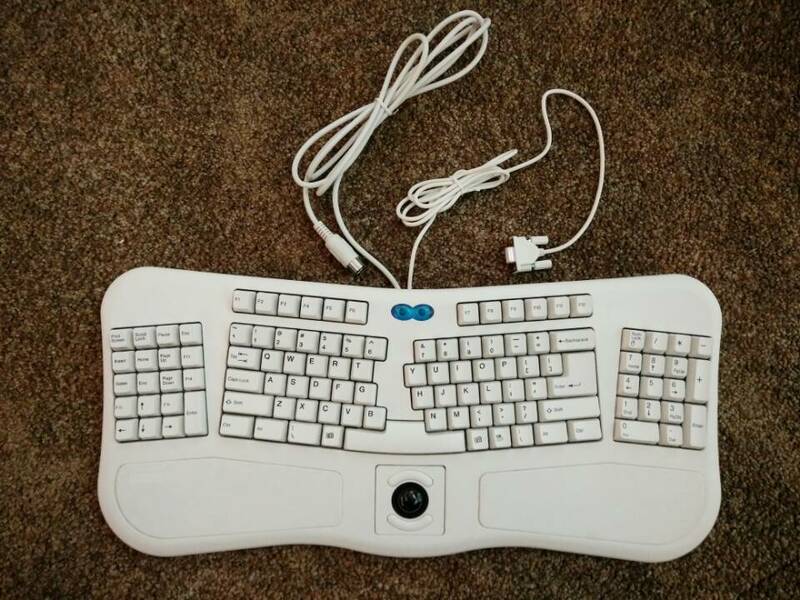 Unlike competing designs from Northgate and Chicony, the keyboard is symmetrical, with an enhanced navigation cluster on the left, and the numeric keypad on the right. 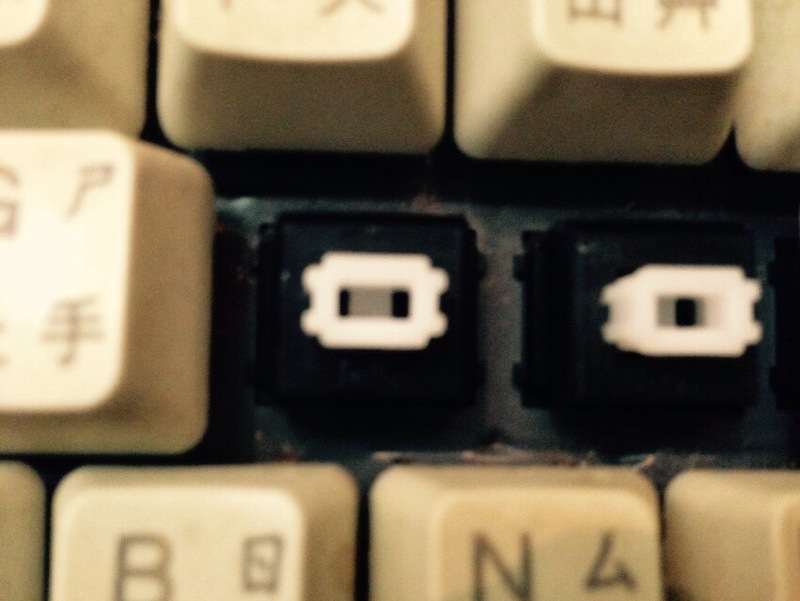 The trackball is in the centre under your thumb. A wide space bar connects the two sides of the alphanumeric cluster. 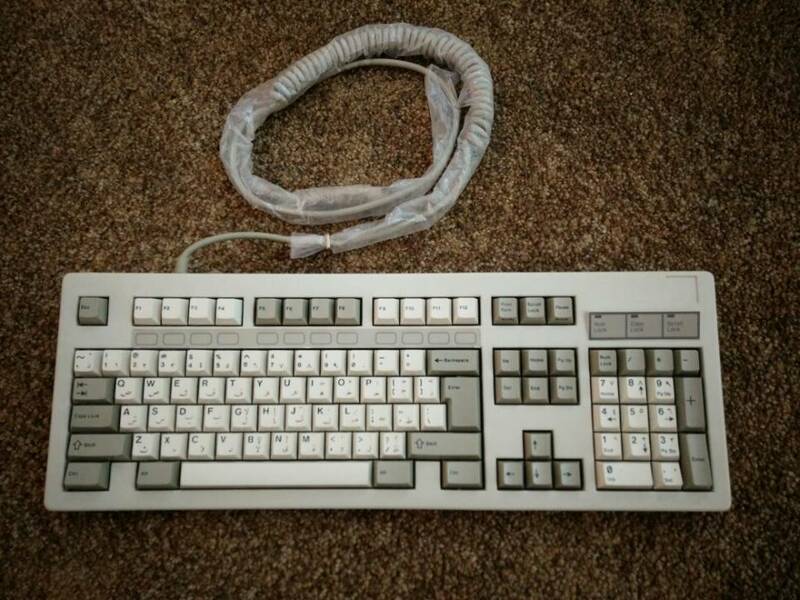 The keyboard is reported to use APC switches. 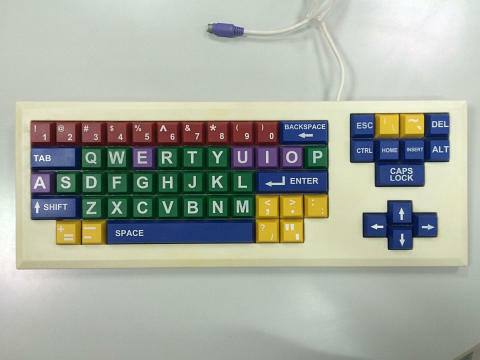 “KID Keyboard” or “Mechanical KID”, model F21KID, is a children’s keyboard manufactured by Tai-Hao exclusively for a customer. 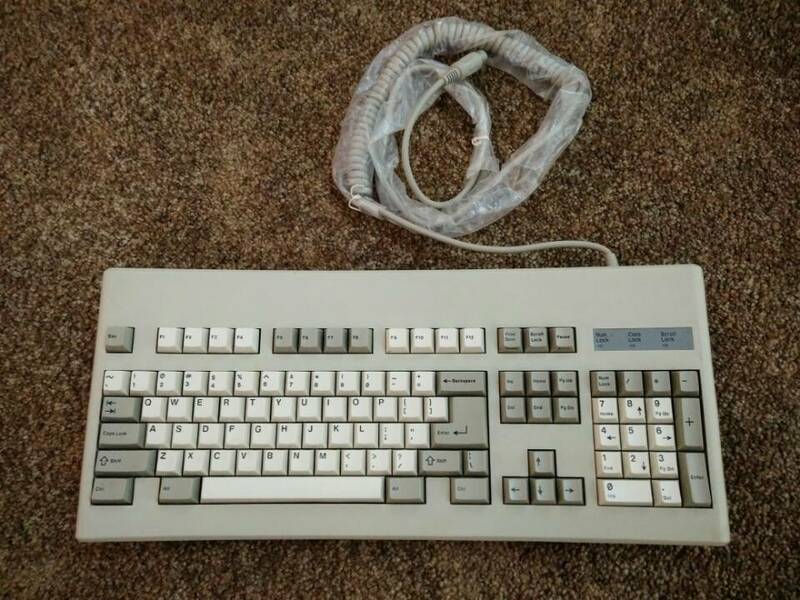 It features white APC switches. 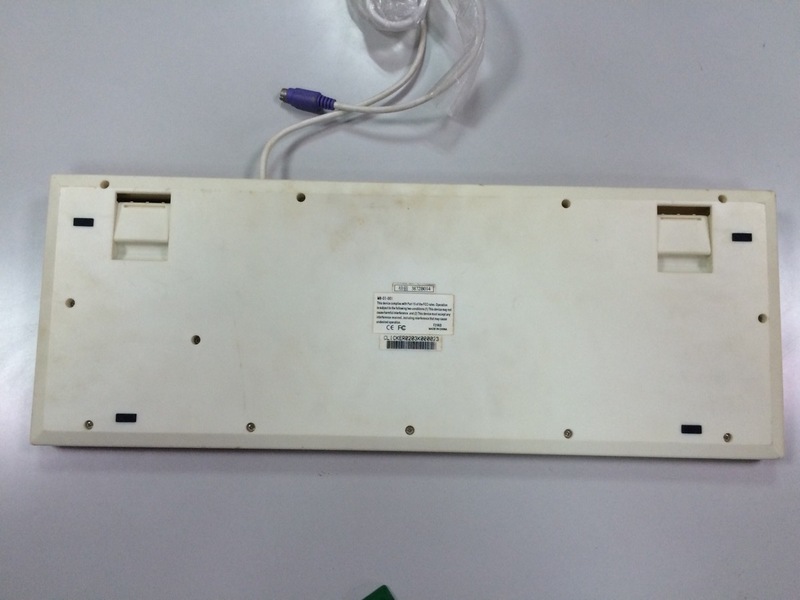 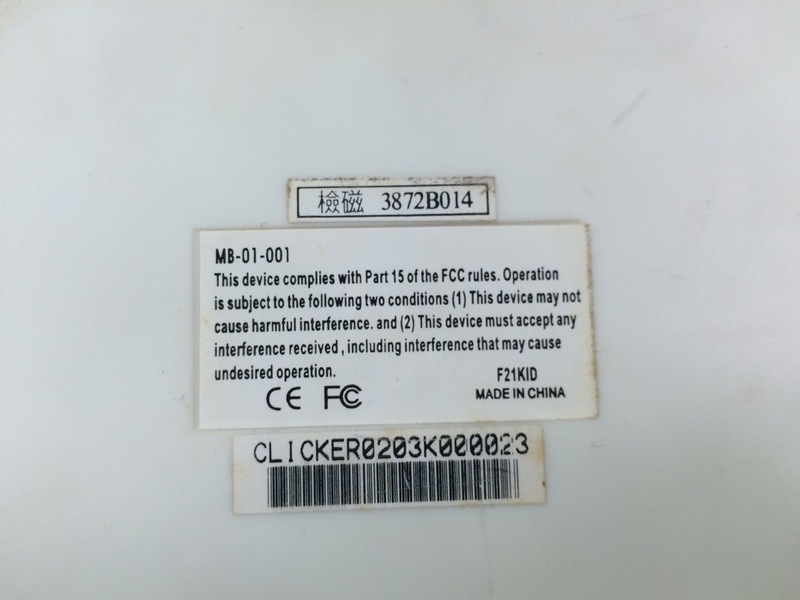 The serial number is CLICKER0203K000023, which according to Tai-Hao indicates March 2002. 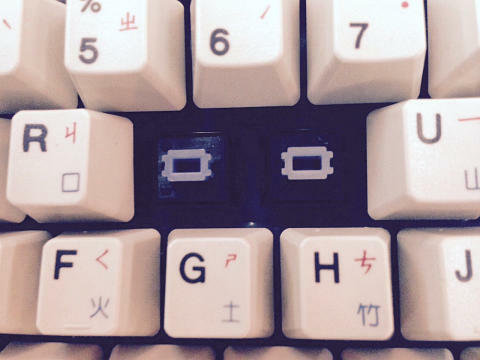 This will be the “0203” before the ‘K’. 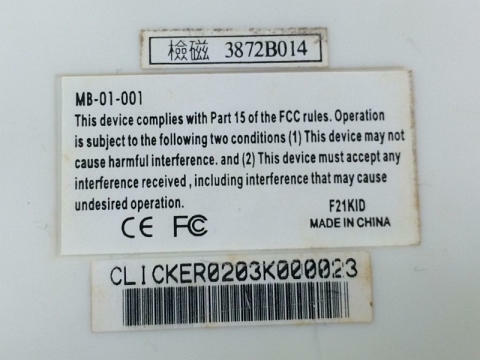 uxwbill’s example is marked “0111”, so this will be a slightly earlier, from November 2001. 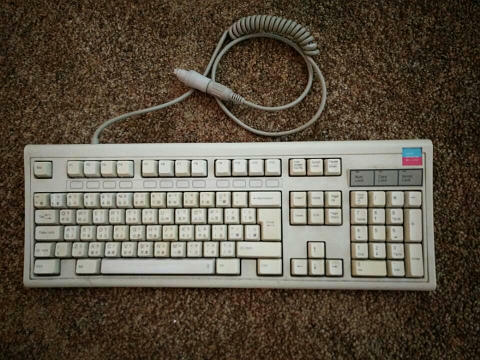 From this, it may be possible to date other Tai-Hao keyboards.